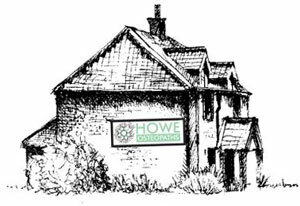 Welcome to Howe Osteopaths. In a quiet rural setting a few miles south of Norwich, our team take pride in providing a patient-centred approach to health and well-being. Using many of the diagnostic procedures applied in conventional medical assessment, osteopaths seek to restore the optimal functioning of the body. Osteopathy is based on the principle that the body has the ability to heal, and osteopathic care focuses on strengthening the neuro-musculoskeletal systems to treat existing conditions and to prevent illness. Osteopathic treatment does not target symptoms only, but also treats the parts of the body that may have caused the symptoms. Osteopaths believe that the whole body will work well if it is in good structural balance. Osteopaths' patient-centred approach to health and well-being means they consider symptoms in the context of the patient's full medical history, as well as their lifestyle and personal circumstances. All treatment is tailored to the individual patient. Osteopaths are registered with the General Osteopathic Council and have membership to The Institute of Osteopathy. They have to update their training throughout their working lives and complete at least 30 hours of Continued Professional Development per year to be able to continue to practise. The Old Bakery is now delighted to offer the services of a qualified homeopath, Annie Whiteman. Click here for more information.